Marsha Rollinger’s studio, Equinox Art & Design, is excited to be exhibiting at Blue Print for the first time this May! Marsha finds inspiration everywhere, and her portfolio includes a wide range of themes, such as seasonal, geometric, floral, and various novelty designs. Visit www.equinoxart.com to view samples of Marsha’s artwork and to book an appointment with her at Blue Print. 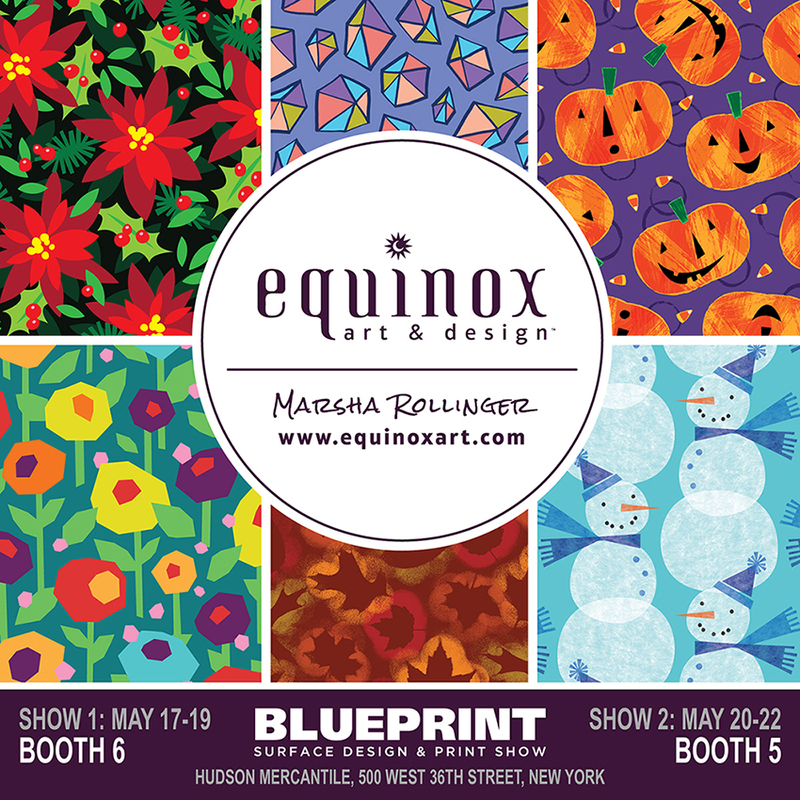 Equinox Art & Design will be at BOTH Blue Print shows—booth #6 at Show 1, and booth #5 at Show 2. Older PostBLUEPRINT EXHIBITOR: Jennifer Nelson Artists, Inc.